Objectifs is possibly the birthplace of several ‘moonlighting’ filmmakers and photographers in Singapore. For people who held 9-5 jobs, Objectifs provided a chance to learn these skills after dark and even on weekends. Of course, beyond just being a school with flexible hours, it has grown to become an important institution in the film and photography community and industry. Since its founding in 2003, Objectifs has played a pivotal role in the development of contemporary photography, video art and film in Singapore, with many artists learning, teaching or showing at the centre. Famous directors like Yasmin Ahmad and Pen-Ek Ratanaruang have swung by and lent their presence within the walls of Objectifs. Over the years, it’s actually been on a little colourful journey within the Bugis-Arab Street vicinity occupying new spaces and bringing different experiences to its visitors and students. It started at Liang Seah Street, moved to Arab Street in 2009 and recently moved again to its latest new home at 155 Middle Road. Each location has been the cradle of valuable encounters and priceless memories. Emmeline Yong, one of the founders of Objectifs takes us on a walk down memory lane through to witness Objectifs ‘on the road’ with these pictures and the moments they capture. 1. This was a class pic from one of our Digital Filmmaking workshops in Nov 2005. The photo is particularly poignant as Yasmin Ahmad, who was one of the guest lecturers, passed away in 2009. 2. At the launch of the Singapore GaGa DVD by Tan Pin Pin in 2006. Singapore GaGa was the first film we distributed under the Objectifs Films label. Since then, we've gone on to release nearly 50 DVD titles, usually with a focus on films from Singapore. The titles appeal to a niche (but loyal!) audience, and DVDs are less in demand these days - but we feel that it is important to have that representation of indie and local films. 3. We've brought local short films out to schools (usually Secondary, JCs, ITEs) as part of our Travelling Short Film Project since 2004. We've probably done about 60+ of such screenings. It's always fun watching the reaction of the students, who react enthusiastically to the films. One of our all-time favourites to screen at schools is Wee Li Lin's Autograph Book - the students love it and go wild when the girls in the film start "acting" out the autographs! 4. The earlier film travel grants by the Singapore Film Commission allowed our directors to visit many international festivals in Russia, Finland etc. These festivals are always a great learning experience, especially for our Singaporean directors to interact first-hand with international audiences. In this pic, we were at the 2008 Clermont-Ferrand International Short Film Festival (ironically, being overseas is one of the best times for us to catch up with fellow Singaporean filmmakers!). We were representing Singapore and Southeast Asian films at the festival and market, and there was also a special Southeast Asian panorama, which included films by Boo Junfeng, Royston Tan and Sun Koh. 5. 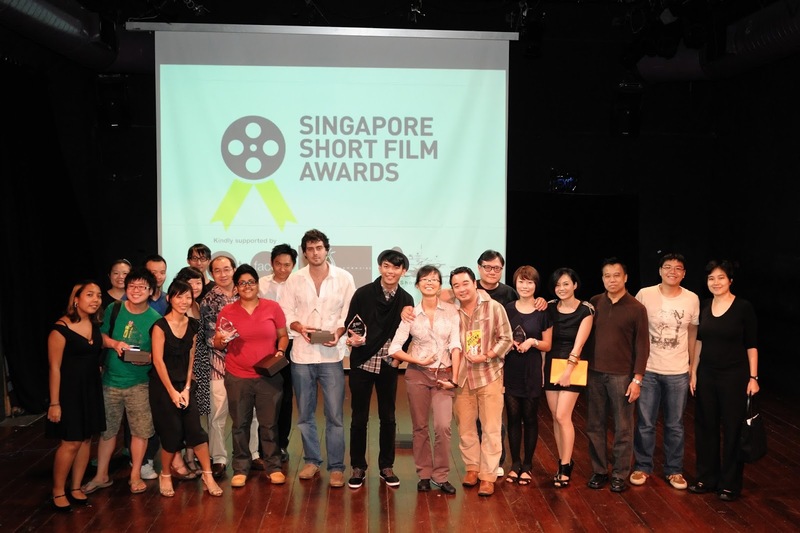 The Singapore Short Film Awards was started by Objectifs' Director Yuni Hadi and Objectifs co-presented it with The Substation for the first four years. Although the SSFA is a small festival, it has been a wonderful way for us to meet young and rising filmmakers, and to bring the community together. 6. 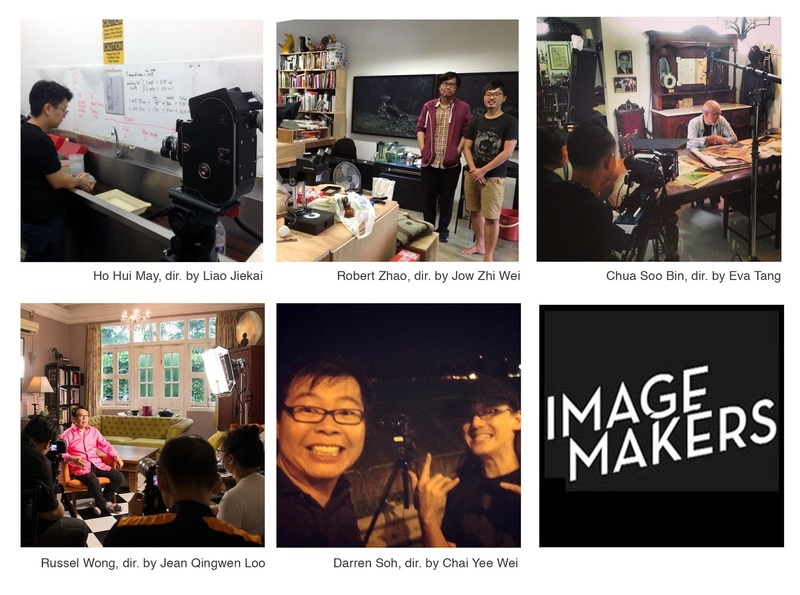 Image Makers is an ongoing series of documentaries that we started working on in 2011. While the documentaries focus on Singaporean photographers, we have also paired a local director with each documentary. It has turned out to be a very interesting series for us, watching the collaborations unfold, e.g. 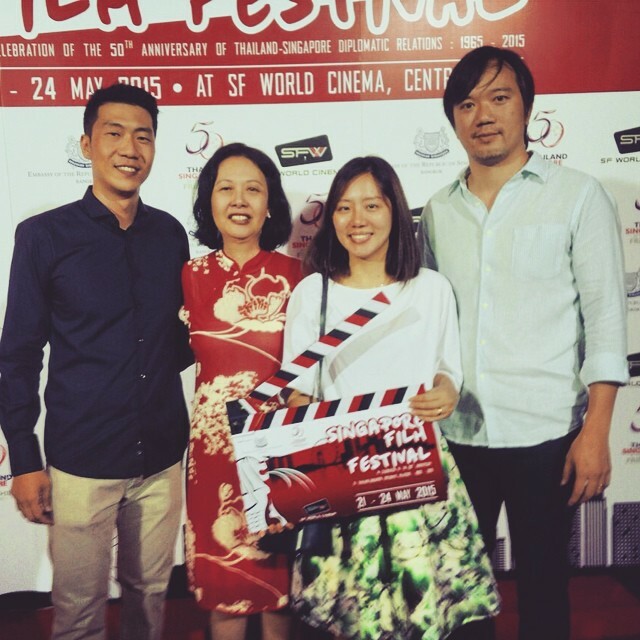 Kirsten Tan (director) x John Clang (photographer); Jow Zhi Wei (director) x Robert Zhao Renhui (photographer). What we're most proud of is that Image Makers is a community effort - driven by photographer Tan Ngiap Heng, production house The Creative Room and Objectifs, with crowdfunding support from many enthusiasts. So far we've worked on 9 docus. 7. Supporting our local films is core to what we do. We try to think of creative new ways to bring films to new audiences and develop an appreciation for local works. We ran a series of Watch Local Rooftop Screenings back at our old set-up at Arab Street back (2012 to 2014). Since we've moved to Middle Road (in June 2015), we plan to continue showcasing local films. For 2015, Objectifs also started a "Lovin' Local Film Fund", where we committed to purchasing 50 tickets, with our own money, for every local film screened commercially - tickets are given away free and our only request is that ticket-holders go on to share these films on their own social media platforms. 8. We've been working with Nexus for the last 2 editions of the ciNE65 Short Film Competition. One of the highlights for us is in planning the overseas Learning Trip, as we feel that we can use our experience and networks to help our upcoming filmmakers foster ties internationally (and vice versa). We went to Bangkok for in 2013 - this pic is at the Thai Film Archive and are looking forward to the next trip in Tokyo for the international film festival this year. 9. SG50 has been a great year for Singaporean artists and filmmakers, as there has been a spotlight on all things local. We brought several films to Bangkok earlier this year, courtesy of the Singapore Embassy in Bangkok. Here we are with Ken Kwek - his debut feature Unlucky Plaza was the opening film for the series of screenings. 10. We moved to 155 Middle Road in June. It's been a very exciting journey for us as the set-up has many programming and collaboration possibilities, allowing us to present works in new ways and also work with different groups of artists. 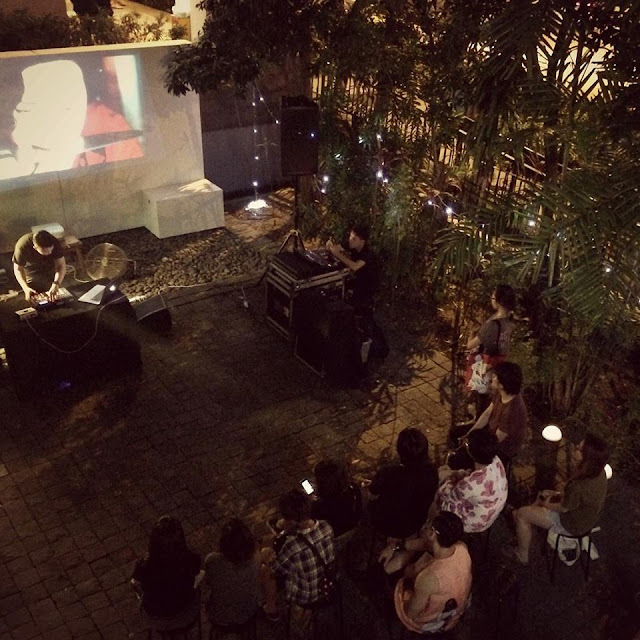 This pic is from our latest programme, Film/Music (as part of the Aug 2015 Singapore Night Festival), where we had local musicians .gif and Intrigruant interpret their pieces to a film by Yeo Siew Hua. Thanks for the memories Emmeline!